Heat oven to 350°F. In 2-quart saucepan, cook pie filling and cream cheese over medium heat until cream cheese is melted. Remove from heat. Stir in nutmeg, salt, vanilla and caramel sauce. Pour dip into warming dish. Garnish with sprinkle of cinnamon and a drizzle of additional caramel sauce. 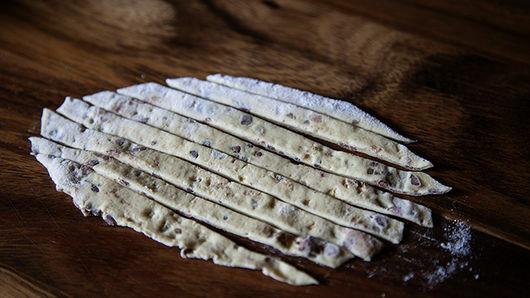 To make cookies, separate dough into rolls on lightly floured work surface. Set icing aside for another use. With rolling pin, roll out each roll until flat. Cut each with pizza cutter into small strips about 1/2-inch wide. Roll both ends of each strip towards center to form scroll shape. Place on ungreased cookie sheet. Brush each with beaten egg; sprinkle with sugar. Bake 6 minutes or until very lightly browned. Remove cookie sheet from oven. With back of heatproof spoon, flatten each cookie. Return to oven; bake 6 minutes longer. Immediately remove from cookie sheet to cooling rack. 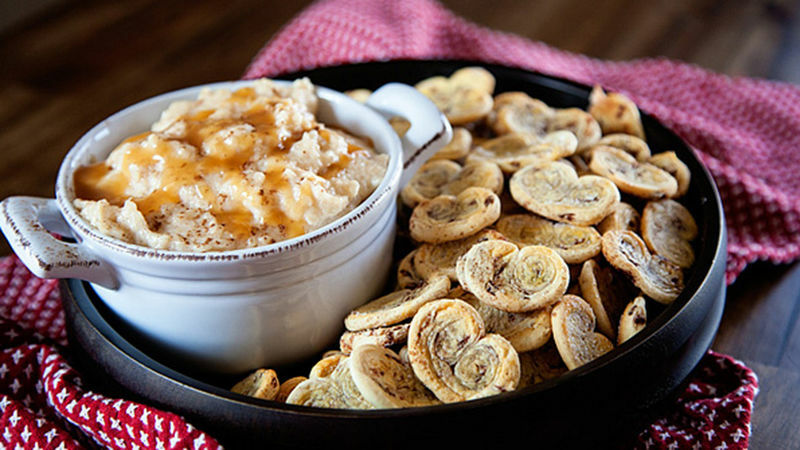 Serve cookies with warm dip. The dip recipe can be made a day or two in advance and warmed in a slow cooker before your party, making things so much easier on the day of your event. 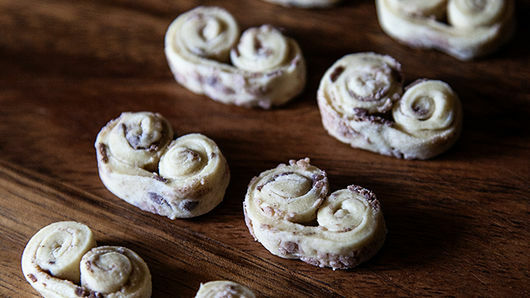 Spread the icing over baked cookies for a snack.